In this article, we will discuss SEMrush. It comes from the combination of SEM (Search Engine Marketing) and rush, which means the powerful inclusion of all SEO activities like On-Page SEO, Off-Page SEO, PPC, Social media Promotion, PR, content marketing and Keyword research. SEMrush is the all-in-one digital marketing service due to it’s a bigger opportunity for the customers to get promoted his/her website at any cost. Why should we subscribe corporate plan? One of the easiest things to get on SEMrush is to pull out a report of Domain Overview. Throughout the search bar and enter a domain name and SEMrush will display all information on the same website we have available to go to the searched site. A quick report on organic and premium keywords, and backlinks etc., will be available. You can find any website’s top competitors, keywords, backlinks, ad history and more just by clicking around from a Domain Overview. Then, the navigation menu on left helps jump between the deeper reports without re-entering your query in the search bar. It’s also much easier to do research on keywords in the database of SEMrush. You need to just enter the relevant word or phrase in the search bar and SEMrush will provide a Keyword overview report with all of the valuable information we have on the searched keyword. You’ll be able to go through top-level metrics to reach phrase match and low-competitive keywords, keyword issues, cost-per-click, and more. If you wish to start a project on SEMrush, its extra tracking and analysis tools help you monitor the whole thing about the status of website, audit report and corporate plans, which grow your business a lot. You can export data to save to excel and further you can decorate your data or report in PDF or other formats. You can also make custom PDF report in my reports section for a secure and non-editable search report. Following SEMrush plans are available for different levels of businessmen and all plans are available under monthly and yearly options. This plan guides freelancers, in-house marketers, and startups with the short budget. You will be able to run your SEO, PPC, SMM, and content projects with 28 or more advanced tools. Also, you will come to know the status and traffic sources and ranking of your competitors’ website. This plan helps SMB and growing marketing agencies to have a profitable SEMrush plan. Here’re the available different report like Branded reports, Historical Data, and Extended limits, etc. This business plan serves well bigger size agencies, web-based businesses, and E-commerce projects, etc. The feature of this plan comes with the following. We also call it Enterprise plan and features are as follows. The main feature of this plan is it enables you to create your own product. The digital marketing agencies or SEO and SEM teams use various tools for promoting and optimizing the website of the client. In this plan, many licenses of software will be controlled or managed and renewed. License management becomes smoother and easier in this SEMrush Corporate Plans and the users who have SEMrush corporate accounts can have a good time with their business growth. Rather than Pro or Guru Plans, you can create your own desired product, and have many projects and data as per your need. Every user gets own account and can manage licenses and block old non-paid users and allow new users a SEMrush account and access. You will have too much privacy. In the Corporate plan, the owner or admin of this subscription has to pay once to SEMrush admin and can provide the license to other users. The corporate plan subscribers can pay by credit card, PayPal or any other transfer. According to your need, you can create your own products and can generate several licenses. As per request, you can access API units. The premium blogs will have a thorough checking by the SEMrush with the premium plan. Free plans provide a short report on the status of the website. So, SEMrush tools help increase the quality and efficiency of a website. 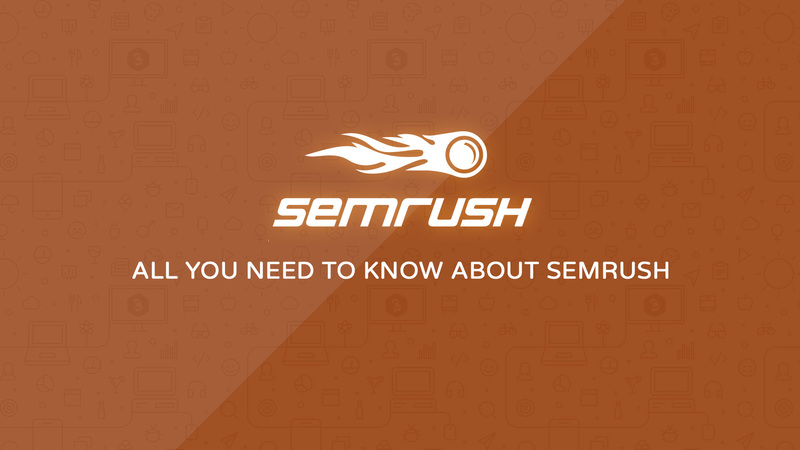 Hope this article helps the website owners by using SEMrush tool. Overall, the SEMrush tool makes modify your website by conducting an audit of the website, keyword analysis, position reporting, brand monitoring and many more. It also gives a good challenge to your competitors and can create the exciting user experience. Please feel free to add comments if any query or you can share your feedback.